99tutors.com offers a variety of tutorial services and our tutors are available to tutor both online and face-to-face, listed below are some of our tutoring services offered. We serve students of all ages, pre-kindergarten through adult. Tutoring is available in all core subjects - reading, mathematics, science, history - as well as study skills, foreign languages, standardized test prep, assessment testing such as ACT and SAT, Kindergarten readiness, and much more. Our tutoring services are available in College Station, Austin, San Marcos, Huntsville and more locations throughout Texas. 99tutors.com has study programs for a wide range of standardized assessment tests including state grade-level assessments, high school equivalency exams, college and graduate school entrance examinations, and specialty tests. Our one-on-one study programs have helped students significantly increase their scores. PSAT (Preliminary Scholastic Assessment Test). 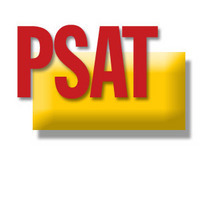 The PSAT is designed to help students practice for the SAT and is used to determine the test-taker's eligibility for scholarships awarded by the National Merit Scholarship Corporation. Colleges don't use this test to determine eligibility for admission. This test is also known as the National Merit Scholarship Qualifying Test (NMSQT). The SAT predicts how students will perform academically as college freshmen, and as a single, standardized means of comparison, helps college admissions officers make acceptance decisions. 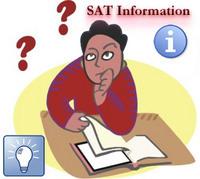 The SAT has seven sections - three math sections covering arithmetic, algebra, geometry, and a miscellaneous category that includes probability, data interpretation, counting, and logical analysis; three verbal sections covering analogies, sentence completions, and critical reading; plus a "wild card" section of either math or verbal that doesn't count. 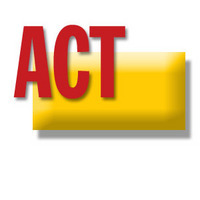 The ACT also predicts a student's success in college by measuring academic abilities in college prep programs. It is used as an admissions tool and awarding of scholarships and loans. It has four content areas - English, Math, Reading and Science Reasoning. 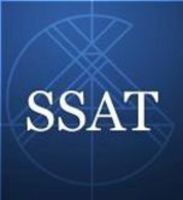 The SSAT is the required admissions test for hundreds of independent schools. It offers two tests, a lower-level test, grades 5 through 7, and an upper-level test, grades 8 through 11. It predicts how well students will perform in school, and is used as an admissions and placement tool. The SSAT measures verbal, math and reading comprehension. The SAT II are subject tests, one-hour, mostly multiple-choice, that measure how much students know about a particular academic subject and how well they can apply that knowledge. 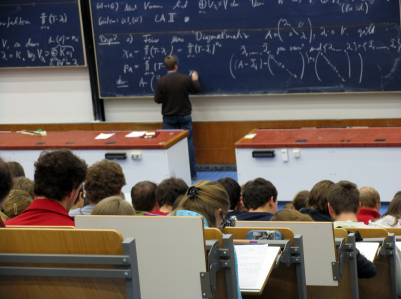 Many colleges require or recommend one or more of the Subject Tests for admission or placement. They provide a dependable measure of academic achievement and are a predictor of future performance. There are 22 subject tests offered including: Writing, Literature, History, Math, Biology, Chemistry, Physics, and various language proficiency tests. To earn a GED, an individual takes a comprehensive exam which covers five subject areas: writing, social studies, science, literature, and math. GMAT (Graduate Management Admission Test). The GMAT is a multiple-choice test for applicants to business schools. The GMAT is a computer-adaptive test (CAT) meaning each section starts with a medium-level question and an average score. If answered correctly, the computer will raise the score and then give a more difficult question. If answered incorrectly, the score will decrease and an easier question will be given. The process repeats for each question in the section, to arrive at a final score for that section. is a 101-question, multiple-choice test for applicants to law schools. a multiple-choice admission test for applicants to graduate schools. is a national standardized test for applicants to medical schools. 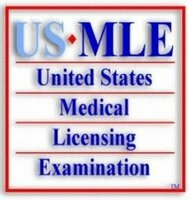 USMLE (United States Medical Licensing Exam). All medical students and residents must pass this three-part exam in order to be licensed to practice medicine in the United States. The first part of the USMLE, known as Step 1, is usually taken at the end of the second year of medical school. It's a one-day, computer-based exam that tests a broad range of topics covered during the first two years of medical school. In fact, most medical schools require students to pass the USMLE Step 1 before continuing on to their third-year clinical rotations. is a multiple-choice, computer-based test for non-native English speakers. The purpose of the test is to assess the reading, mathematics, and writing skills that entering freshman-level students should have if they are to perform effectively in undergraduate certificate or degree programs in Texas public colleges or universities. The skills listed below are eligible to be assessed by the THEA Test. Each skill is accompanied by a brief description of how the skill may be measured on the test. 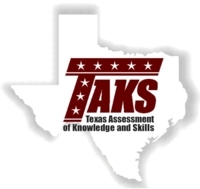 TAKS(Texas Assessment of Knowledge and Skills). The TAKS test was developed to be more rigorous in nature and to match the state curriculum outlined in the TEKS guidelines. The TAKS test will test students in grades 3-11 annually. Each student must pass the required test to be promoted to the next grade. Students in grade 3 must pass the reading section of the TAKS test to be promoted to the fourth grade. Students in the fifth grade must pass the reading and mathematics sections of the TAKS test to be promoted to the sixth grade. Students in the eighth grade must pass the reading and mathematics portions of the TAKS test to be promoted to the ninth grade. An exit-level examination will be administered each year to all 11th graders. 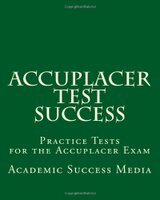 The purpose of ACCUPLACER tests is to provide you with useful information about your academic skills in math, English, and reading. The results of the assessment, in conjunction with your academic background, goals, and interests, are used by academic advisors and counselors to determine your course selection.You can not "pass" or "fail" the placement tests, but it is very important that you do your very best on these tests so that you will have an accurate measure of your academic skills. 1. Strategy for reading textbooks and novels. SQRW is a four-step strategy for reading and taking notes from chapters in a textbook. Each letter stands for one step in the strategy. Surveying brings to mind what you already know about the topic of a chapter and prepares you for learning more. You need to have questions in your mind as you read. Questions give you a purpose for reading and help you stay focused on reading assignment. Read the information that follows each heading to find the answer to each question you formed. Write each question and its answer in your notebook.